If your windshield gets chipped or cracked, should you repair or replace it? If you drive with a chip or cracked windshield long enough, that chip or crack can become a problem. Windshields can take a beating. There could be gravel falling from uncovered construction trucks and the occasional chunk of unknown debris kicked up by cars passing by. In some ways, it’s amazing that windshields survive as long as they do. The good news is that smaller chips and cracks can usually be repaired by a professional. A crack or chip can be safely repaired if it can be covered by a dollar bill. However, if the chip is directly in the drivers line of sight, there are more than three cracks or chips on the glass, the damage is at the edge of the windshield, or the windshield is old and covered with tiny divots, it should be replaced rather than repaired. The repair process works by injecting a special resin into the chipped area. This should be handled by a professional. If your windshield can be repaired, do it immediately. A small chip can spread across the windshield if you hit a big pothole, drive on a gravel road or make an aggressive turn. 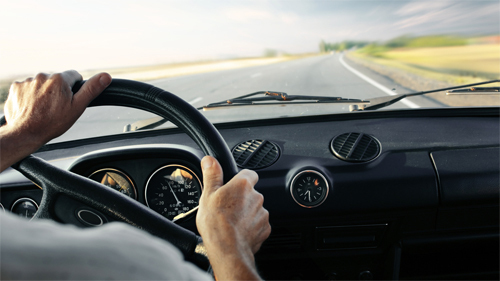 If you’re on the road away from home, a repair company can typically come to you. A reason to repair your windshield before the crack grows and the windshield must be replaced: the windshield serves as a structural part in many vehicles that contributes to the overall strength of the vehicle. If your windshield is severely pitted from sand, salt or other objects, replacing rather than repairing can be like getting a stronger eyeglass prescription, especially at night — it can improve visibility and make it easier to see while driving. Replacing opaque headlight covers can have a similar effect. You may also attempt to repair the chip or crack yourself. There are many do-it-yourself repair kits available at your local auto parts store, and they typically attempt to replicate the resin injection technique of the professionals. The difference, of course, is due to the quality of the tools and materials, and training and expertise of the person administering the repair. Remember, a key function of the repair is to prevent the crack or chip from expanding or spreading, and also to help restore some of the structural integrity of the glass. If you’re unsure about any aspect of the DIY repair process, consider hiring a professional. Repair if possible and logical. Replace if you must. And consider using a professional for best results. This entry was posted in Uncategorized and tagged Auto glass Fresno, Car Glass Fresno, mobile windshield repair on September 7, 2018 by admin.